While many people think of Asian countries like China and Vietnam as the major buyers of elephant ivory, the U.S. is right up there with them. Long held as a market for the illegal trade, U.S. markets in New York City and San Francisco dominate, contributing to the massive crisis for the world's elephants. Now, one California lawmaker is trying to remove her state from that list with a new, more complete ban on the ivory trade. Assembly Speaker Toni G. Atkins (D-San Diego) introduced a bill called AB 96 on Thursday that would close loopholes that prevent the enforcement of an existing law that bans the sale of ivory. The existing law, enacted in 1977, prohibits the purchase, sale and import of elephant ivory and rhino horn. But older ivory - that which was sold before 1977 - isn't covered under this ban. As the San Francisco Chronicle reports, this ban is imperfect; several ivory owners have been caught with ivory from newly-slaughtered elephants that was rubbed with varnish to make it appear older. Only carbon dating and DNA testing can prove a piece's age, but the tests are expensive and impractical. California's ivory problem has been worsening in recent years - a new report released Wednesday by the National Resources Defense Council found 1,250 ivory items offered for sale by 107 vendors in Los Angeles and San Francisco - at least 80 percent of which were likely illegal under California law. It also found that the amount of illegal ivory produced after the 1977 ban in California has doubled since 2006. The new law, if it passes, would go into effect July 1, 2016 and make the sale and purchase of ivory punishable with a $10,000 fine. It would also direct the California Department of Fish and Wildlife Department to take sole responsibility for the issue, which in the past has been delegated over several different agencies, making enforcement difficult. "The slaughter of elephants for their tusks and rhinos for their horns is as senseless as it is cruel," Speaker Atkins said in a statement. 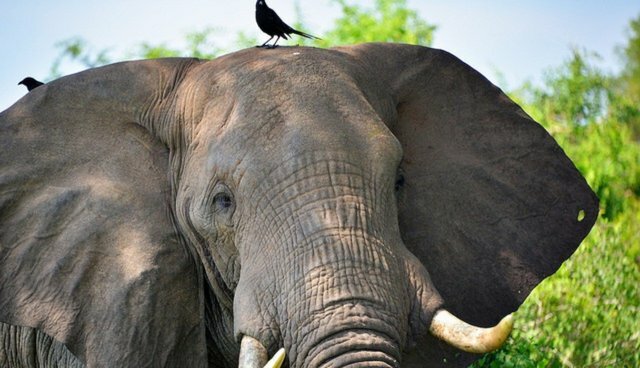 "California recognized that and enacted a law almost 40 years ago to end the ivory trade here, but that law needs strengthening in order to be effective. AB 96 closes the loophole that allows the illegal ivory trade to continue to flourish and adds real enforcement teeth to the law so California can do our part to end the slaughter." The ban is similar to legislation recently passed in New York and New Jersey - if California's bill passes, it will be the third U.S. state to take a stand against elephant poaching, an industry that killed over 100,000 elephants in the last three years alone.